For my growth mindset project, I chose to try and get a new personal record lift on my dead lift at the gym. I wanted to get my dead lift from 225 pounds to 275 pounds. I wanted to do this because I wanted to have a stronger lift and the growth mindset project was a perfect fit for it. I felt weak with only having my dead lift at 225, so I felt that getting it to 275 would be a huge upgrade for me. This project was me realize that I could do it and that everything is really just mental. Everything is MIND OVER MATTER! This project actually did have an impact on me deeply. Ever since it, I have really been able to accomplish anything I put my mind to. I have been using growth mindset with everything I want to accomplish. 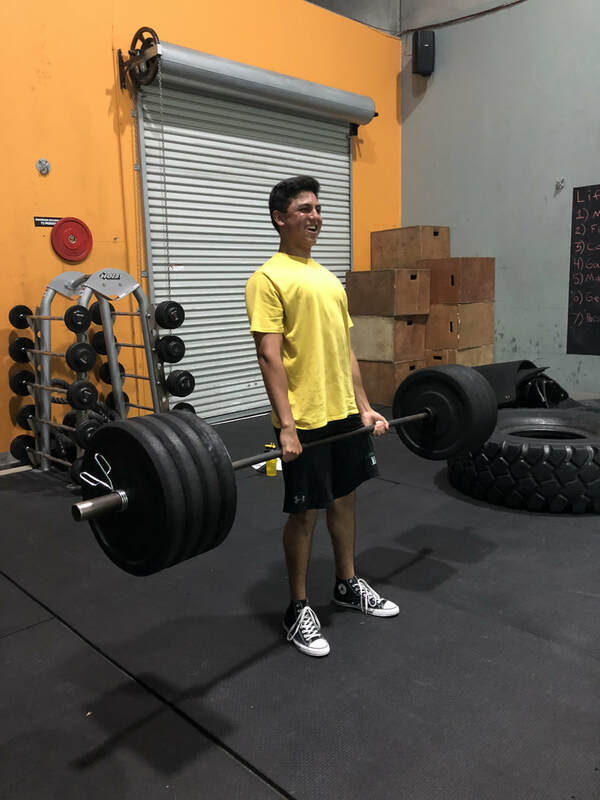 For example, not long after, I was able to put my mind on getting a stronger lift (while being safe with it of course) and I hit 315 pounds on my dead lift. It has also helped me with my art. I used to do some not so good artwork, but since then, I have really been improving my artistic abilities and having become much better and detailed in my work. Did I try to improve on my topic after the two weeks? Since my growth mindset project was achieved after the two weeks, I decided to continue applying it to the gym. Like I said, not long after, I was able to lift 315 pounds with good form. Now, I have been breaking personal records like crazy. I also watched Pumping Iron on Netflix and it seemed like Arnold used growth mindset a lot throughout his time of bodybuilding. He would say that when you cannot go anymore, always do at least two more repetitions, so hearing that made me begin doing that and realized it is all mental. How was growth mindset applicable to math this year? The growth mindset project was very applicable to math this year because it proved that we can achieve any struggle that we go through this year in math by really putting our mind to it. This is the whole reason that we did the growth mindset project in the first place. Although we did have fun during it, it wasn't meant to just have fun. The project was meant to teach us a lesson that in math we can be good at it with practice because eventually we will get the topic down as long as we stick with it. A problem that I enjoyed this year was the "Around King Arthur's table" problem. In this problem, we were tasked to find a rule or pattern to find which chair a knight should sit in to be the winner of King Arthur's table. King Arthur chooses the winning seat by sitting knights around a round table, then he goes around the table telling the knights if he they are in or if they are out. He continues this until there is only one knight left, and that is the winning knight. In order to find out which chair a knight should sit in to be the winner of the game, a pattern or a formula had to be found. We were tasked to find it. What did I enjoy about this problem? This problem was enjoyable because it was more of an interactive problem. Since it was more interactive, I was able to understand it more. I am a very interactive learner, I always need to be doing something. It was fun to also be working with my group on this. The fact that I was able to understand this problem and help my group out with it made it much more better for me. After we solved the problem we did a whole team activity by doing the problem in real life. This year in math I struggled a lot. There was not really one specific subject for me that I struggled with because I felt like everything was personally a struggle for me. I am not a math person at all. I have always hated it because I can never understand it and always do very poorly academically. I have tried everything. I have gotten personal tutoring, watched youtube videos, gotten help from my peers and teachers and it is always very difficult for me to understand content. The content that I understood the most the year was the logs. For me they were very simple but began getting very hard as we got more into it. How have I grown this year? This year, I have grown in asking for help. I used to be very afraid of asking questions to people of things I do not understand and need to know more of, but I was scared of someone thinking that I was not very smart because the question I would be asking would be simple to them. But during math this year, I realized that I need to ask questions. If I do not ask questions then I am going to get no where and stay stuck. When I first began asking questions, my peers had no problem answering them, even the ones that were really simple. A couple of the questions I would ask would have to be re-asked by me because I did not understand it the first time but my peers still had no problem re-explaining anything to me. What math class will I be taking senior year? For senior year, I chose to take pre-college algebra rather than calculus. I chose pre-college algebra because I already heavily struggle in math, so me going into calculus would make things way worse than they need to be. My teacher and I also agreed that pre-college algebra would be better for me. It will still be a struggle for me since I am already not too good with algebra, but I am really going to push myself to learn it. I am also taking this class because at the colleges I want to go to, no math is involved at all. Next year, I plan to actually take math more serious than ever. All of the previous seniors said that it is very fast paced and that you will need to understand the topic or you will fall behind. This year I came very close to failing and I fell behind a lot. Senior year, I do not want to repeat this. Senior year I am actually going to put in the effort and really try so I do not fall behind. No matter what I have to do, I am going to do it in order to stay on top of it. If it is staying after school to ask my teacher questions, dedicating many hours outside of school to study, everything I can to finally succeed in math like I have always wanted.